Mitsui O.S.K. Lines, Ltd. today announced that Propeller Boss Cap Fins (PBCF) was selected as a vessel quieting technology by the EcoAction Program implemented by Port of Vancouver, Canada. 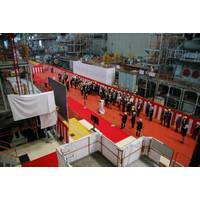 PBCF was jointly developed by MOL, West Japan Fluid Engineering Laboratory Co., Ltd. and Nakashima Propeller Co., Ltd. (Note 1), and is being sold by MOL Techno-Trade, Ltd. The Vancouver Fraser Port Authority’s EcoAction Program offers discounted harbour due rate to vessels that have implemented voluntary emission reduction measures and other environmental practices. Harley Marine International Holdings Pte. Ltd. said it has signed an MoU with Pavilion Gas Pte. 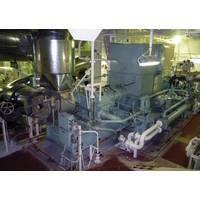 Ltd, Mitsui O.S.K. 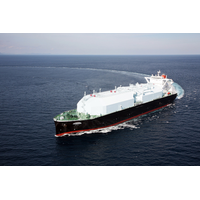 Lines, Ltd. (MOL), and Mitsui & Co., Ltd. (Mitsui) to build the first liquefied natural gas (LNG) dual-fueled bunker tanker for Singapore. The new 7,500 DWT LNG dual-fueled vessel will be co-funded up to S$2 million (US$1.46 million) by the Maritime and Port Authority of Singapore (MPA) through its LNG Bunkering Pilot Program (LBPP) Grant. The International Maritime Organization (IMO) will soon be enforcing a global Sulphur content cap of 0.5 percent on bunker fuels. 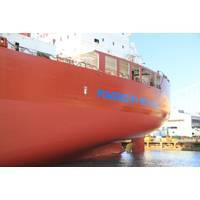 Starting on April 18, Waterfront Shipping Company Ltd. (WFS), Marinvest/Skagerack Invest (Marinvest), Westfal-Larsen Management (WL), and Mitsui O.S.K. 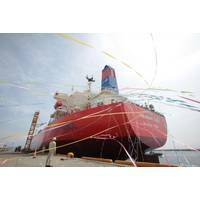 Lines, Ltd. (MOL) attended the traditional ship naming ceremonies and took delivery of the first Korean and Japanese built methanol-fueled ocean tankers, the Lindanger, Mari Jone and Taranaki Sun. 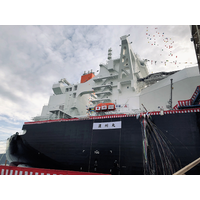 Hyundai Mipo Dockyard hosted the Korean ship naming ceremony, while Minaminippon Shipbuilding Co., Ltd. hosted the Japanese ceremony; where all three of these 50,000 dead weight tonne vessels were built. 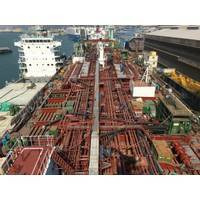 Starting in April, Waterfront Shipping Company Ltd. (WFS), Mitsui O.S.K. Lines, Ltd. (MOL), Westfal-Larsen Management (WL), and Marinvest/Skagerack Invest (Marinvest) will welcome innovative, clean-burning, fuel-efficient vessels to the sea. These seven 50,000 dead weight tonne vessels are built with the first-of-its kind MAN B&W ME-LGI 2-stroke dual fuel engines that can run on methanol, fuel oil, marine diesel oil, or gas oil. This ship technology will significantly reduce emissions while giving ship owners a viable, efficient and convenient fuel alternative. 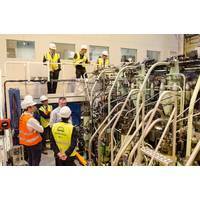 The factory acceptance test (FAT) of the first ME-GI engine in Japan recently took place at the Tamano Works of Mitsui Engineering & Shipbuilding Co., Ltd. (MES), overseen by classification society DNV GL. The engine, developed by MAN Diesel & Turbo, is the first of two 8S70ME-C8.2-GI units for delivery to U.S. shipbuilder VT Halter Marine for installation aboard two 2,400-teu ConRo ships for Crowley Maritime Corporation. VT Halter laid keels for the new vessels in January and August, respectively. MAN Diesel & Turbo licensee Mitsui Engineering & Shipbuilding Co., Ltd. (MES) recently demonstrated the liquid-gas-injection concept in Japan on 17 June, 2015 using the very first ME-LGI engine to ever be commercially produced. The engine, with the type designation 7S50ME-B9.3-LGI, is bound for a vessel currently under construction by Minaminippon Shipbuilding Co., Ltd. for Mitsui O.S.K. Lines, Ltd. Ole Grøne, Senior Vice President – Low Speed Promotion & Sales – MAN Diesel & Turbo described the event as a significant milestone in the development of Diesel technology. Mitsui O.S.K. Lines, Ltd. has ordered methanol carriers with the world’s first methanol burned dual-fueled low-speed diesel main engine. 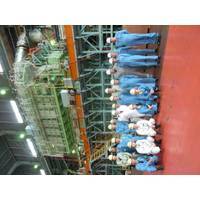 This engine building has already been completed, and its manufacturer, Mitsui Engineering & Shipbuilding Co., Ltd. has test-operated the unit using methanol fuelin Tamano Works, and confirmed that it metexpected performance. 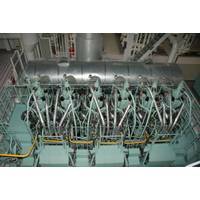 MOL ordered methanol carriers, which will be equipped with this diesel main engine, from Minaminippon Shipbuilding Co., Ltd., (President: Ryutaro Ikebe). MAN Diesel & Turbo successfully demonstrated its ME-LGI concept engine in front of customers and partners at its Diesel Research Center in Copenhagen on March 17th, the company announced today. “A number of years ago we identified the need to develop an engine that could run on more environmentally-friendly, competitively-priced fuels as an alternative to MDO/MGO," said Vice President and Head of R&D, Søren H. Jensen. "We believe the ability of the ME-LGI engine to run on sulfur-free fuels offers great potential. Methanol carriers have already operated at sea for many years. The push to outfit commercial vessels with energy saving equipment continues, and news out of Japan says that a Mitsubishi Energy Recovery System (MERS) supplied by Mitsubishi Heavy Industries Marine Machinery & Engine Co., Ltd. (MHI-MME) was installed on a VLOC (Very Large Ore Carrier) for the first time. The system is designed to enhance power generation efficiency by maximizing recovery and utilization of exhaust gas waste energy from marine diesel engines, and demonstrated significant fuel consumption improvement compared with existing ships during at-sea trial.